An amusement boat has sunk in the Tigris River, killing dozens of people in Iraq who were celebrating Nowruz, a joyous holiday marking the new year at the start of spring. Video footage showed scores of people being carried away in the water's fast current as onlookers shout from a nearby theme park. The interior ministry spokesperson says 71 people, including many women and children, are confirmed dead, according to NPR's Jane Arraf. At least 55 were rescued. 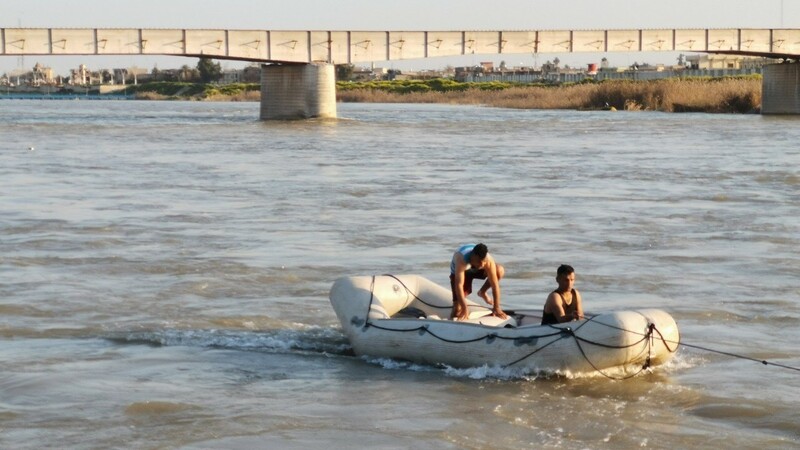 The flat-bottomed boat, which operates from a platform at an amusement park in the once Islamic State-controlled city of Mosul, capsized, throwing hundreds of passengers in the river near the shore. Many people couldn't swim. Mosul Mayor Zuhair Araji said the vessel had "reached its capacity," causing it to succumb, according to Kurdistan24. The mayor says he had warned the owners last week that the boat needed repairs. The vessel did not appear to have life vests on board, according to authorities. And the water level had also reportedly risen in recent days from rains, snow melting off nearby mountains and developments at the Mosul dam. Authorities had alerted people to be cautious. "The Department of Water Resources warned a few days ago that the level of water will rise as a result of the opening of dams," Nineveh Mayor Abd al-Sattar Habu said, according to CNN. The Iraqi military deployed helicopters to search for people who have gone missing. Dr. Nezar Ismat, the general director of Duhok health directorate, expressed deep sadness for the great loss of life and told NPR, "We try to support them. We sent them ambulances from the Kurdistan region, from Duhok and Erbil." A social media account called "Mosul Eye," which became known globally for chronicling life under ISIS, made an "urgent appeal" on Thursday for people in the area to reach two bridges over the river and help in rescue efforts. The U.S. embassy in Baghdad offered condolences to "the families and friends of those who lost their lives in the tragic ferry accident on the Tigris River near Mosul." Iraqi Prime Minister Adel Abdul-Mahdi has ordered investigators to look into the tragedy and report back to him by Friday. Many Kurdish leaders in northern Iraq had not yet weighed in on the tragedy, their social media instead showing happy messages for the holiday. "Happy New Year to the people of Kurdistan and others who celebrate Newroz," the former president of the Kurdistan Region of Iraq said in a tweet on Wednesday. "May the coming year bring more peace and prosperity to the region." ISIS held Mosul under its brutal grip for three years, imposing strict rules and punishments as fighters ruined cultural sites and fought for their caliphate. The city was liberated after a bloody battle, and has struggled to rebuild itself in the wake of the destruction.